Fit Flicks Productions is a production company specializing in health and fitness systems that are engaging, exciting and curriculum based, all about health, nutrition, physical education and science. 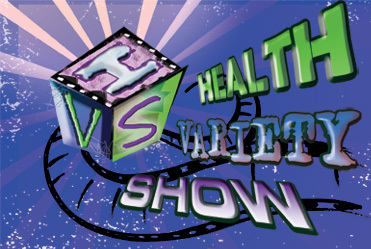 The HEALTH VARIETY SHOW SYSTEM is a complete system for schools, parents, teens and youth. The Health Variety Show System is just that, a complete system that includes a fifty minute DVD, a complete supplemental activity guide, ideal for ages 11-18 or grades 5 to 12. The Health Variety Show System uses the power of film to steer today's youth towards healthy eating, being active and feeling good about themselves. The system highlights the importance of proper nutrition, exercise, self-esteem and body image, media literacy, prevention of eating disorders, and making healthy choices for life. 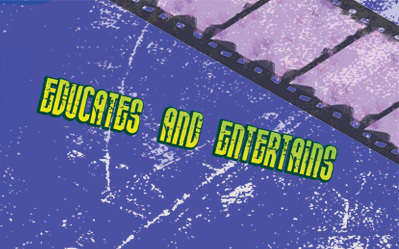 Featuring stimulating drama and rib tickling humour over stunning visual backdrops and animation, the HEALTH VARIETY SHOW SYSTEM keeps viewers or students engaged with young actors connected to today's trends and issues, and music by internationally renowned hip hop artist MC Flipside. Nutrition: Improve their eating habits by choosing a balanced diet to prevent disease, maintain a healthy body weight and promote lifelong health. Physical Activity: Learn how daily exercise is fun and helps build muscle, strengthen bones and maintain a healthy weight. Body Image: A healthy body image means feeling comfortable in your skin - it's part of who you are and beauty comes in all shapes and sizes. Discover all the ways in which the media digitally alter body images to suit their sales, distorting people's natural perception of beauty. Eating Disorders: Define the growing problem, address the health consequences, and help kids avoid fad diets. Osteoporosis Prevention: Prevent the bone thinning disease while still in their adolescence and teen years through healthy eating and exercise habits. Click the TV to watch a preview!